The Johnson House Historic Site, Inc. is Philadelphia’s only accessible and intact stop on the Underground Railroad. During the 19th century, and for several generations beyond The Johnson Housewas owned by a family of Quaker abolitionists who worked with other European Americans, and African Americans — free and enslaved, to secure safe passage to freedom along the extensive network of clandestine routes and safe houses known as the Underground Railroad. 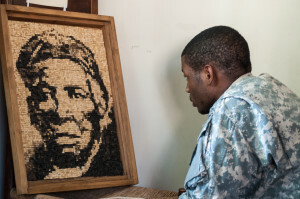 When visiting the Johnson House Historic Site you will acquire an understanding of the audacious men and women who labored for the freedom of others, and gain an appreciation for the courageous decisions made by the enslaved to embark on a perilous, hope-filled journey to freedom. We appreciate your support. Donate Here !